Last year, Porsche celebrated its 70th anniversary with a stunning, silver-and-white 911 Speedster Concept and doubled it up at the Paris Auto Show with a slightly tweaked, red-coloured model that almost looked track-ready. At the time, Porsche announced that a production version based on the 991-generation 911 would be launched in 2019. Test mules have actually been spotted logging laps at the Nürburgring, in Germany. 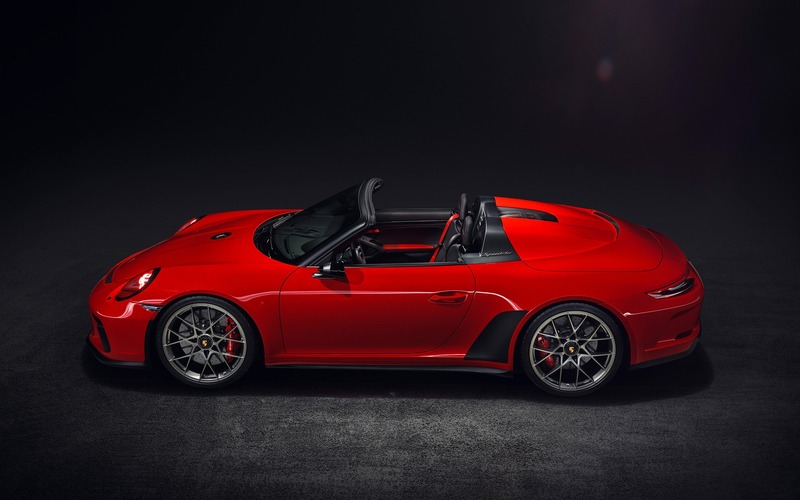 With the New York Auto Show set to kick off next week, it appears the 2020 Porsche 911 Speedster will make its debut in the Big Apple. And it should be pretty similar to the two aforementioned concepts. An unveiling is planned during a charity cocktail party on April 18, according to the invitation received by an anonymous customer, who sent a copy to Carbuzz. It’s likely that the car will be presented to the media a day earlier, though. Building on the current 911 GT3, the new 2020 Porsche 911 Speedster is expected to use a naturally aspirated 4.0-litre flat-six engine mated to a six-speed manual or seven-speed dual-clutch transmission. It will generate at least 500 horsepower and be faster around the track, as the name implies, thanks to various weight-saving measures. Only 1,948 copies will be built—all of which are already spoken for—as a tribute to the Porsche 356 “Number 1” that appeared back in 1948. Come back in a few days for full specifications and a photo gallery of the 911 Speedster.